The Tavern Trio with Johnny Barras, older brother of Geoff Barras, on piano, Len Hutchinson on the right and Redvers Terry on the left. The Trio are seen here performing at The Tavern, formerly the Railway Tavern which changed its name to the Tavern in 1976 and again to “Over The Top” in August 2000. The property fell into disrepair and was fully refurbished, extended and its use changed to comprise a bakery, two shops and the Cafe Vie in 2014. The complex is a very creditable conversion now known as Thompson’s Yard. 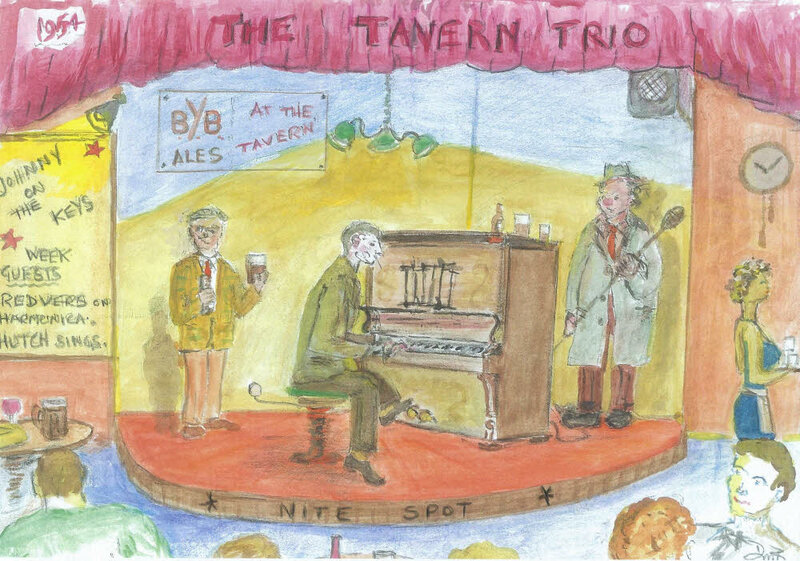 The Tavern Trio were never short of a gig venue and played regularly at the Horse and Jockey, The Commercial and many other Ossett Pubs in addition to The Black Rock on Wakefield Westgate top.